This style has eight 1.5" red circles equally spaced on the sheet. The top two circles have 3" black cross-hairs. The next two circles have 1/2" bullseyes. 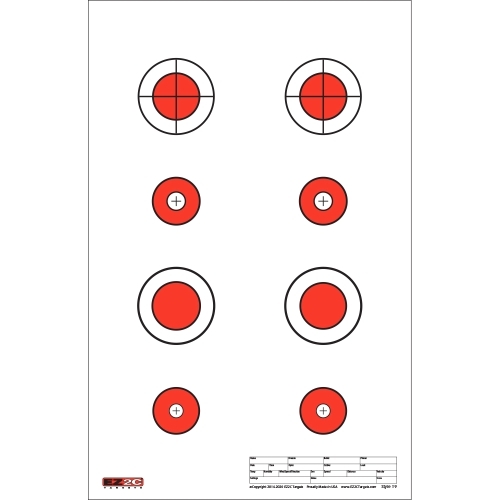 The next two circles have 2.5" black targets. 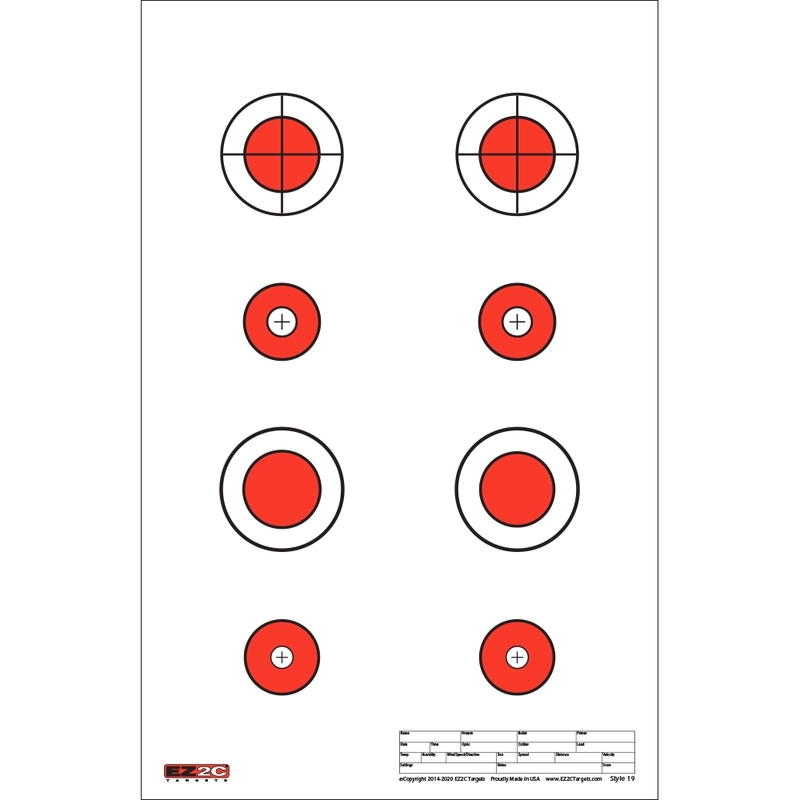 The bottom two circles have 1/3" bullseyes Targets are on 11" x 17" High-Quality Bright White Paper. They are Conveniently Packaged with 25 Paper Targets per Pad.